Simply click on the 'order' link next to any item you wish to order and proceed to checkout. Your order will be taken by the Secure Cottage Ecommerce System. You can send us a message if you need anything about your order clarified by clicking here. 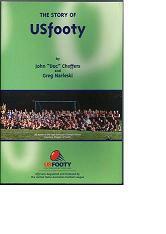 "The Story of US Footy"